For many, the New Year spells resolutions. For me, I’ve done that with limited success. I’ve also tried coming up with a theme for the year only to forget it weeks later. I can’t even find my theme on my computer for 2018, so that tells you how committed I was. That’s why this year I’m doing something different. A new 30-day challenge each month. Instead I was treated to a lovely meal prepared by my Italian neighbor, Paolo. We’ve lived in the same building for years, but our connection has always been a hurried wave or a passing hello or in his case, ciao. Only recently have we gotten to know each other because his daughter helped me make ice cream cakes and because of Leo who is surprisingly not Italian. He’s not even human. Either way, my neighbor’s kindness was an act of self-care for me for molto (many) reasons. Famiglia! It reminded me of my family. 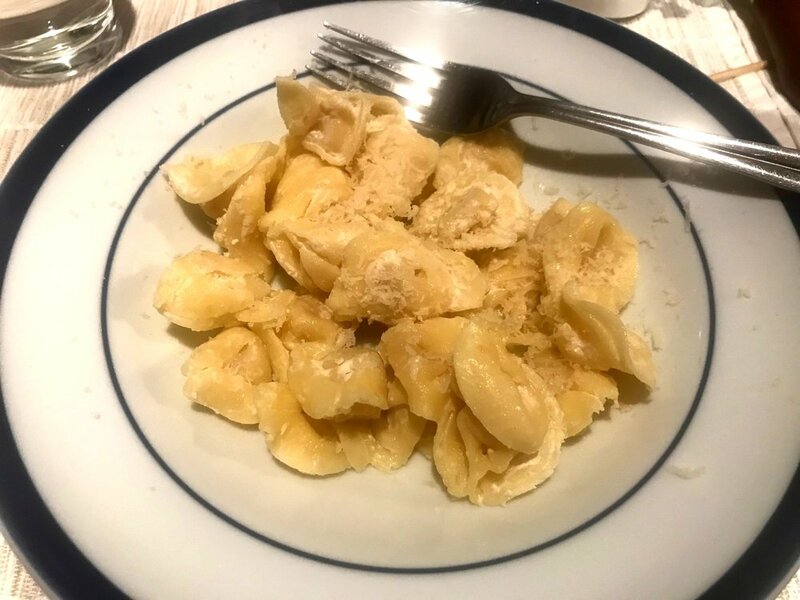 My grandmother, Philomena Gelfenbien (her name is a mouthful like her cooking), would make us big, hearty and delicious Italian meals for our Sunday afternoon dinners together every weekend. Connetere! We connected and got to know each other. That is virtually unheard of in NYC. Most people don’t even know their neighbors let alone dine with them, but I’m happy to say I’ve grown close with some of mine. Affogato! This decadent treat blends espresso and ice cream. Affogato means “drowning” or as my neighbor told me, “killing” as in the espresso kills the ice cream when it melts. I’ll say this. He is killing it with that dessert. Imparare! I learned so much. Not just about Italian culture and food, but about his life, what we have in common (besides our mutual obsession with ice cream, cheese and apparently anything dairy) and more. 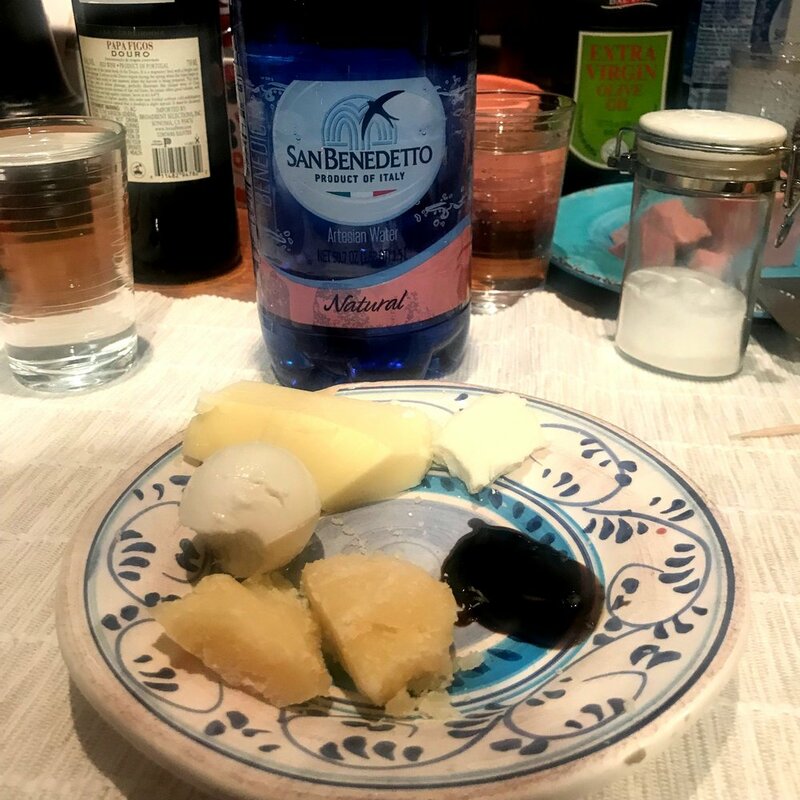 And a huge grazie to Paolo for his hospitality, generosity and for smuggling in some damn delicious mortadella, formaggio and other fine Italian delicacies. I left sated, stuffed and in a food coma and by 9:00 p.m., I made it to bed as planned. Was I asleep then? No. Was it because of the caffeine in the affogato? Probably. Was it worth it? Assolutamente! How are you taking care of yourself in the new year? Do you savor your meals? Cook often? Let others help and do nice things for you? Tell me about it below. I’d love to hear from you. Grazie and Buon Anno!